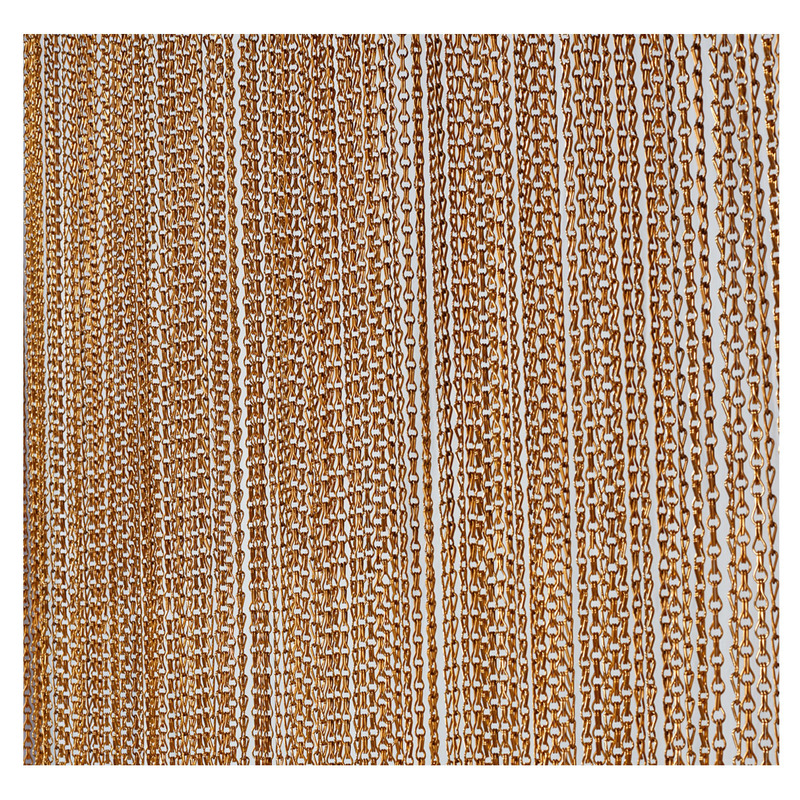 ChromaLink™ Chain Curtains are lightweight, interlocking aluminum chains that are ideal as flat curtains or space dividers. Great for indoor and outdoor use. Available in 2 colors. 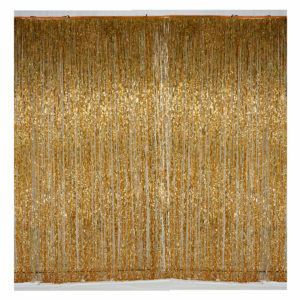 ChromaLink™ Chain Curtains offer an alternative to traditional screens and drapery. 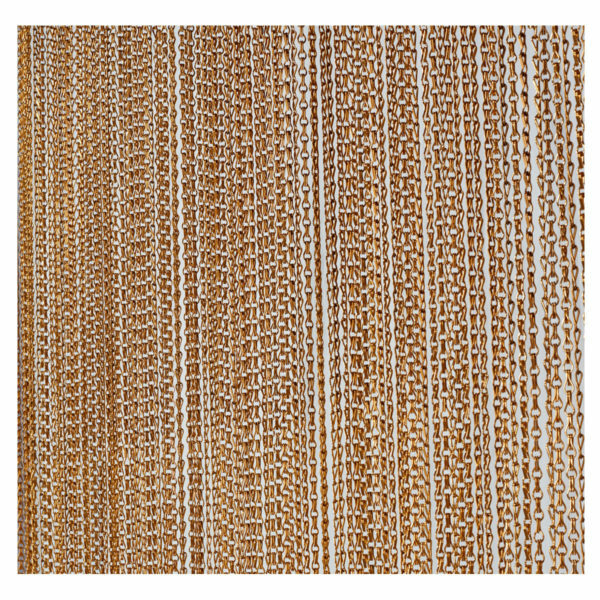 Build space dividers, decorative panels, and graphic murals with ChromaLink™ Chain to enhance your creative designs. 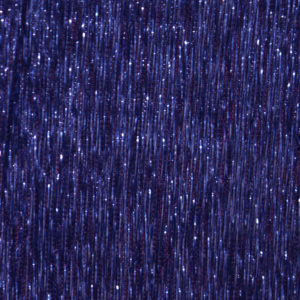 When used with theatrical lighting the curtains take on a sparkling visual effect.ChromaLink™ Chain Curtains are durable, fireproof and low maintenance. 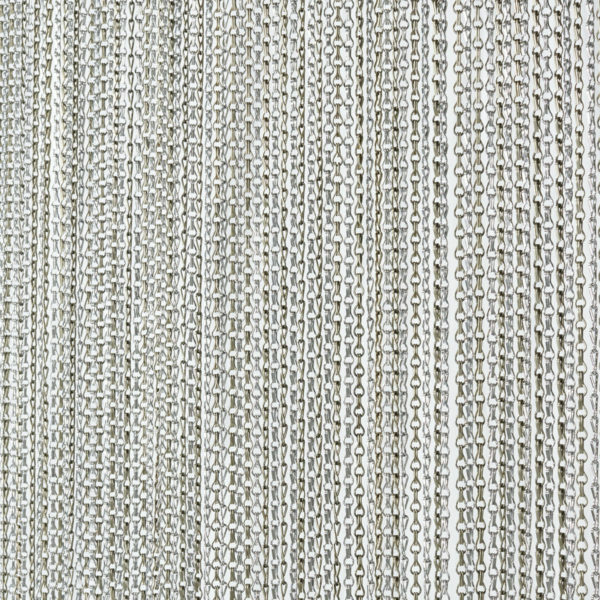 Because they are open chain link, the material diffuses and enhances lighting without blocking site lines by creating a scrim-like effect. 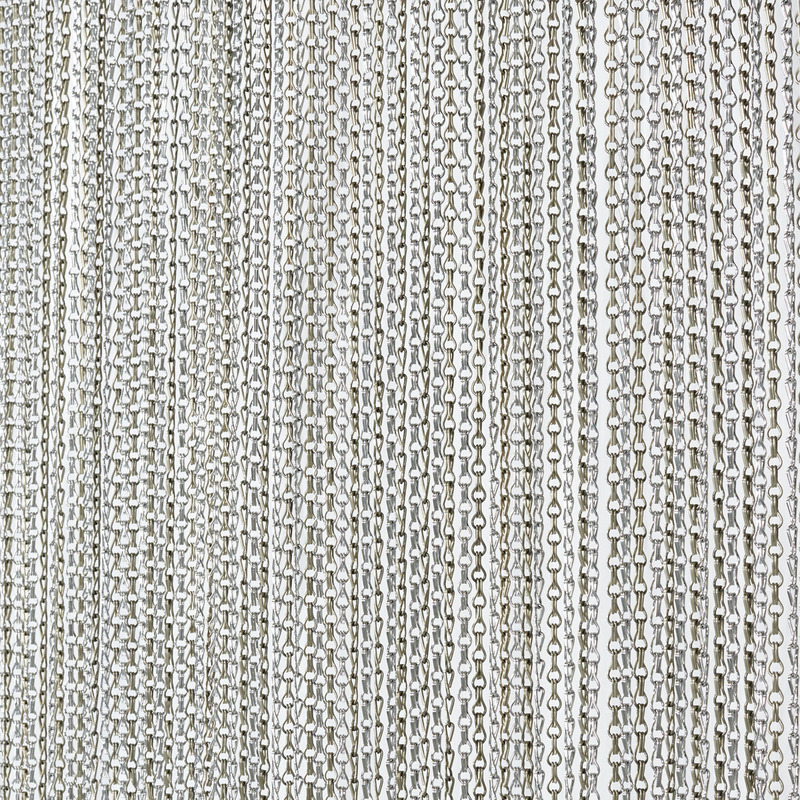 ChromaLink™ Chain is made of 100% aluminum and is resistant to UV light, with only minor color loss in outdoor situations. 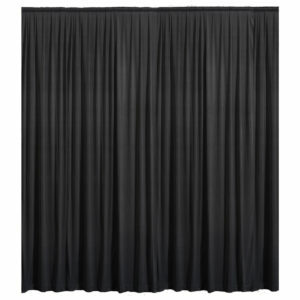 Ideal for Retail Display, Exhibits, Special Events and Architectural applications. 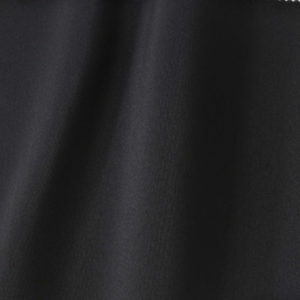 Curtains are finished with double webbing and pipe pocket with ties. 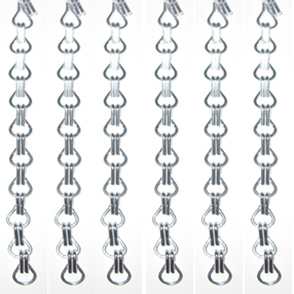 Chain is secured with zip-tie attachments. 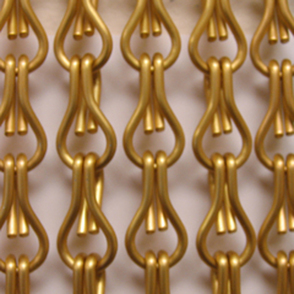 Chain is spaced 1/2″ on center.